9 out of 10 academics say teaching gives them a sense of satisfaction. This was revealed after the first ever Times Higher Education Teaching Survey was completed in 2017. What was discovered is no matter how often academics enjoy spending time in front of the blackboard, one of the major issues is ensuring successful impartation of knowledge to students.1 Academic and Faculty Director of Harvard’s Derek Bok Center for Teaching and Learning, Professor Robert Lue describes how teaching and learning is constantly changing subsequently forcing academics to evaluate engagement in higher education classrooms more than ever before. 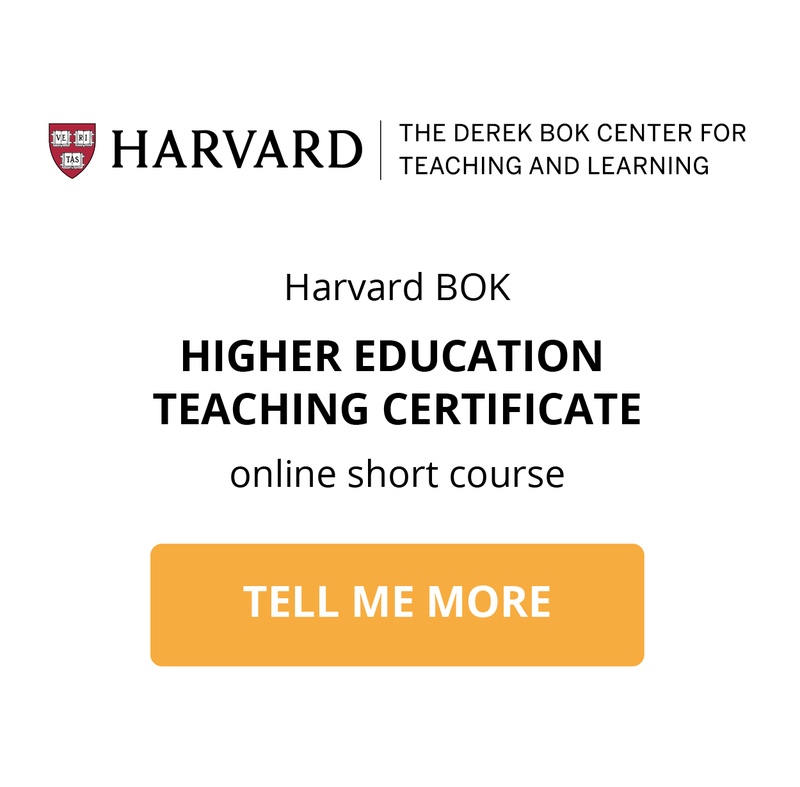 As an advocate of online education and the Course Convener of the Higher Education Teaching Certificate offered by Harvard’s Derek Bok Center for Teaching and Learning, Professor Lue is involved in conducting research on online pedagogies and pedagogical theories. He recently sat down with the nonprofit higher education research institute, Project Information Literacy (PIL) to define pedagogy and discuss teaching, learning and the value of higher education and classroom management. The problems we educators all face in terms of cost and scalability. Something that can be creatively integrated with what we do with students on campus. Has 21st-century teaching and learning put an end to traditional lecturing? 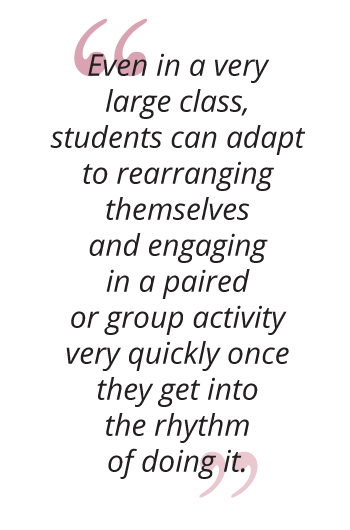 “Every form of active learning includes context-setting, clarifying of perspective, and leading students through some kind of a discussion-engagement format. All of those things require compelling public speaking. 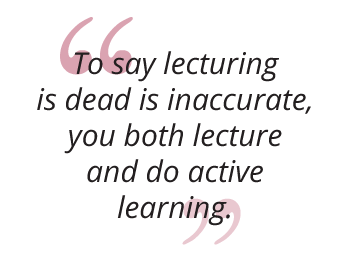 To say lecturing is dead is inaccurate. Lecturing, and that form of projected public speaking, is now interspersed with a variety of other kinds of activities, so in my view, it’s not ‘either’, it’s ‘and’, you both lecture and do active learning. “A feeling of isolation can be really deadly. Students often fall into an isolated situation when they are struggling with a problem alone, and get stuck in a counterproductive loop. Module three of the Higher Education Teaching Certificate discusses how academics can build rapport and develop an interactive and inclusive learning environment. In the higher education context, low attendance and completion rates are a reality and sometimes outside of an academic’s control. However, two factors where academics have direct influence are academic experience and the learning environment. When students feel excluded from their learning experience, dropout rates increase. The implications for teachers lie in the need for them to alter their approaches or methods, and modes of instruction to foster meaningful relationships with and among their students. Know your students: Find out why your students are taking the course in the first place, their previous experience of the subject and importantly, learn their names. Inform them you are open to office visits at specific hours. Build rapport among the group: Give students opportunities to interact with each other, moving around in the class and interacting with different partners. Assess early and often: Assessment does not always have to be in the form of exams or papers. Complete simple check-ins throughout a semester by using things like surveys or polling software or asking students to write their answers down anonymously. Vary teaching strategies: Direct lecturing in every lesson can lead to low attendance and even lower interactivity. Have discussions and group work, and mix up content and course material through slides or videos. One of Professor Lue’s tools used to develop an interactive teaching environment is active learning. 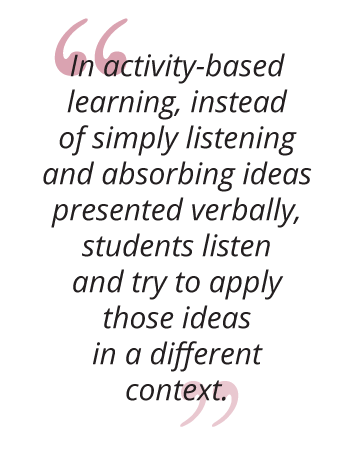 “In activity-based learning, instead of simply listening and absorbing ideas presented verbally, students listen and try to apply those ideas in a different context. This is done through a series of group-based or individual classroom activities enabling students to construct their own understanding of something by applying what they’ve heard. I would say, higher-order cognitive gains are achieved when you can take a concept, understand it fully in terms of the way it was presented to you, and then apply it creatively to something quite different. What evidence proves activity-based learning works? Bloom’s Taxonomy has been in discussion with regards to education and pedagogy for many years. The most recent Bloom’s revised Taxonomy focuses primarily on the cognitive domain reflecting active thinking and learning. 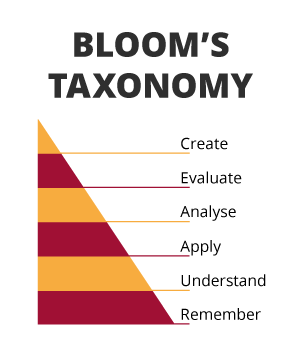 Bloom’s Taxonomy is used mostly when creating effective learning objectives, which in turn help academics plan appropriately to deliver instruction and design assessment tasks and strategies. Ensuring learning objectives are achievable and informing students of these before learning begins is a way for the academic and student to check whether the impartation of knowledge has been successful. After establishing the cognitive processes by which students encounter and work with knowledge, academics can then move on to establishing how those objectives can be achieved.